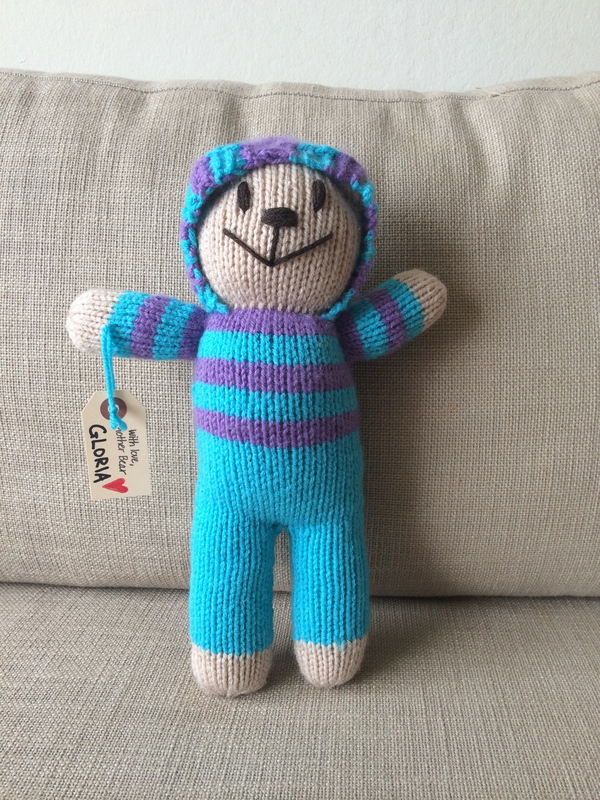 Motivated by my sighting of Xena Bear in South Africa, I finished up Gloria. Expect to see a lot of bears that look similar to Gloria! I have a ton of this blue Red Heart acrylic yarn that I need to use up, and a friend gave me a generous skein of the purple Encore Worsted, which is so much nicer than the Red Heart. Together, it’s a pretty cheerful combo for bears, don’t you think? In other news, yesterday I stumbled across Stephen West’s Garter Squish pattern, and I’ve been thinking a lot about it. 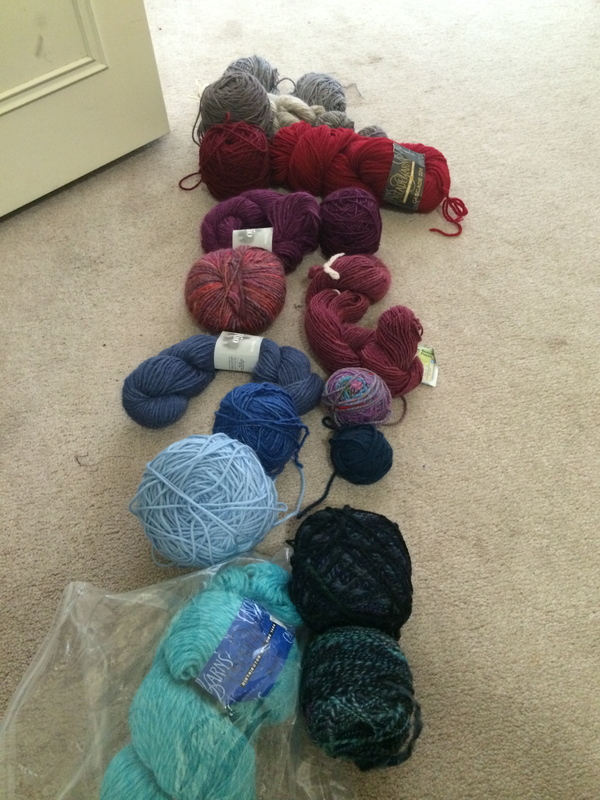 Not that I need a new blanket project, with my POP blanket languishing while I knit my current sock WIP…. But look! http://www.ravelry.com/patterns/library/garter-squish It’s not necessarily his color combination that I love, but the idea of doubling worsted weight yarn into a simple garter stitch blanket, and stash busting/using up odds and ends. Instead of using one neutral yarn together with the other yarns, as Stephen did, I have this idea of combining coordinating yarns along the length of the blanket. But as the lengths will all be different, they’ll start and finish at different points, creating totally different stripe widths and color combinations. After a quick look at my stash, I came up with these yarns and this sequence. The two vertical lines each represent one strand of yarn, and as the skein ends, the one above it would come into play. Does that make sense?